Hand-built vessels and sculptures in stoneware exploring the juxtaposition of curved and angular forms. These are part of a new range of work that I have been developing recently, and comprise mainly teapots and jugs. 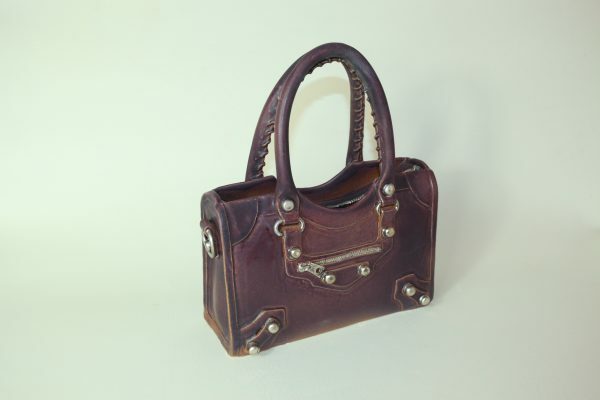 I will also be displaying trompe l’oeil sculptural work, notably bags and shoes and collections of everyday objects. These are glazed using a range of stoneware glazes and metal lustres.